Did You Know? Badly Fitted Shoes and Insoles are a main cause of Foot Problems. We want to prevent that. Here at Footkaki, we are professional shoe fitters. That means we will only sell you a pair of shoes or insoles if it’s suitable for your size and feet type. By visiting us, you will also receive professional advice from a Pedorthist. You will learn what works for your feet, and how to pick comfortable shoes and insoles to keep them healthy. 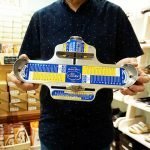 New to Shoe Fitting? Shy or Paiseh? Relax – we are friendly and honest. 🙂 We will never recommend the most expensive stuff to you; only the most suitable selections for your feet type, lifestyle, and budget. Got foot problems? Don’t worry – we can match you with the right footwear for managing conditions like Arch Pain, Bunions, Plantar Fasciitis, Achilles Tendonitis, Flat Feet, Claw Toes, Hammer Toes, and Diabetic Feet. Now that we’ve cleared that up, why not arrange a FREE appointment below? 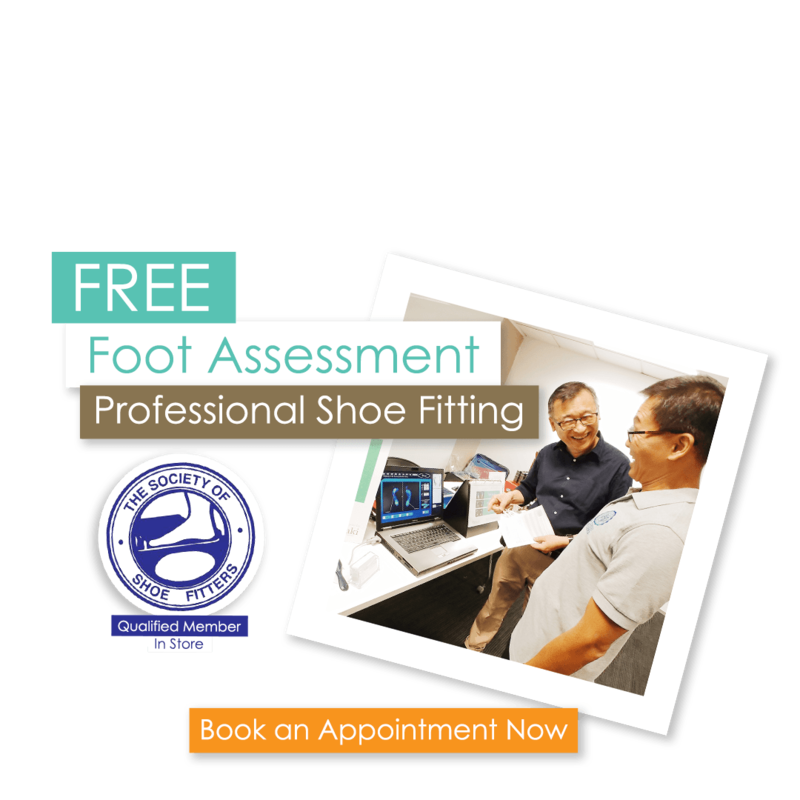 You can also learn how a Foot Assessment & Shoe Fitting session goes, and find out more about the Society of Shoe Fitters. No two feet are exactly alike. Using a Brannock (professional foot measure), we will find perform an accurate measure of your foot length and width. Do you have low, medium, or high arches? Let’s find out with our trusty Foot Scanner! We’ll take a digital image of pressure distribution under your feet, and explain how to balance it all out. Are you a Pronator or Supinator? There’s nothing wrong with being either – so don’t let anyone make you think it’s a condition. We’ll check the way you walk, and find the right shoes and insoles to match your walking style. Sometimes – kakis don’t know that they have certain foot conditions which can cause long-term problems. We’ll check your feet for these conditions (e.g. bunions, corns, calluses, claw toes, plantar fasciitis) and let you know. Don’t worry – we’re honest. 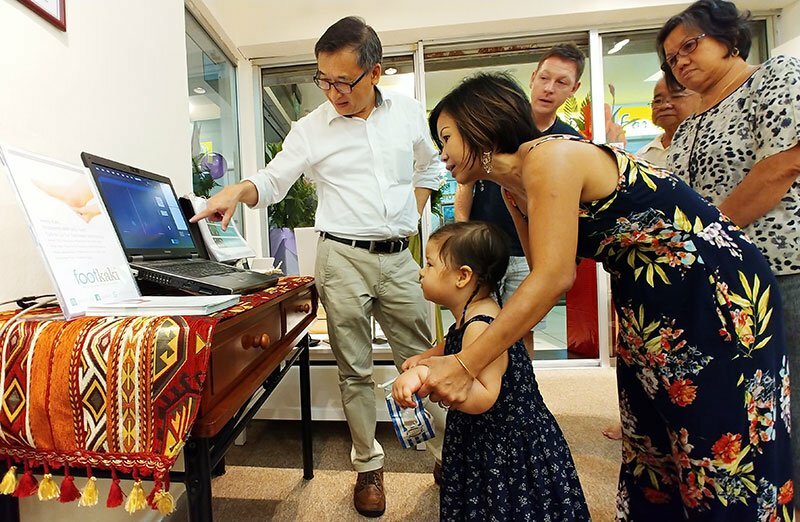 If you have a condition that requires further medical attention, we’ll point you to the right medical professionals to see in the Polyclinics, Hospitals, or Private Clinics. To be frank – we believe in the quality and features of our shoes and insoles. And we want to make sure that you get the most out of them. So we’ll be kay-poh a bit, and ask questions about your regular lifestyle. That way, we will be able to advise you on the most suitable shoes and/or insoles to fit your daily activities. 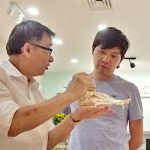 Once we know enough about your feet and lifestyle, we’ll be lor-sor a bit and provide you with professional advice on how to pick the right shoes and insoles for your feet type. It’s part of our mission to build greater awareness of foot health – so bear with us! We’ll explain how different types of shoes and insoles can help you walk more comfortably without causing long term problems. After Steps 1 & 2 – our shoe fitting skills kick into action! Using our expert knowledge – we’ll scurry around our little store picking the most suitable shoes or insoles for your feet and needs. And yes, we know our shoes pretty well. Choose which ones you would like to buy. No two feet are exactly alike – and in the same way, no two pairs of shoes are the same, or perfectly designed to suit each foot. Hence, it is impossible to guarantee a 100% fit. Especially in situations where Kakis have different individual foot sizes, uneven leg length, and other quirks. But don’t worry. We can perform modifications to your chosen insoles or shoes, so that each individual foot is catered for. Depending on what needs to be done, we will expand or tighten the shoe to get closer to that 100% fit. This service is complimentary for shoes and insoles purchased from us (excluding cost of adjustment accessories). Since 1959, the Society of Shoe Fitters has been providing public advice and assistance on good shoe fitting and foot health in the United Kingdom. The society saves the UK National Health Service thousands of pounds annually through preventive foot care initiatives. Today, it counts medical professionals, retailers, and technicians amongst its members. As a member of The Society of Shoe Fitters, Footkaki believes in promoting greater awareness of shoe fitting and foot health. To support and find out more about The Society of Shoe Fitters, you can visit their website. We will reply you ASAP during operating hours.